Hi friends! 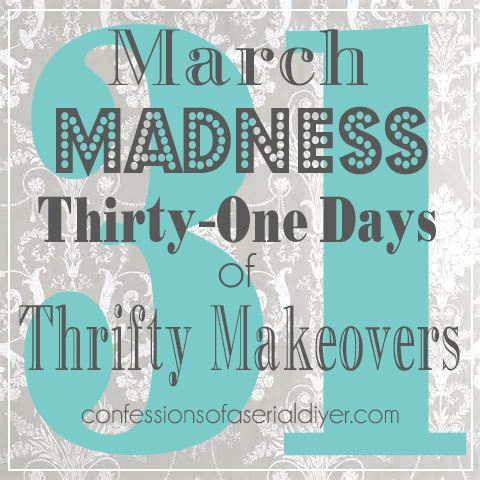 It’s day 13 here in my March Madness series and today I’m sharing a super sweet way to update a plain picture frame. 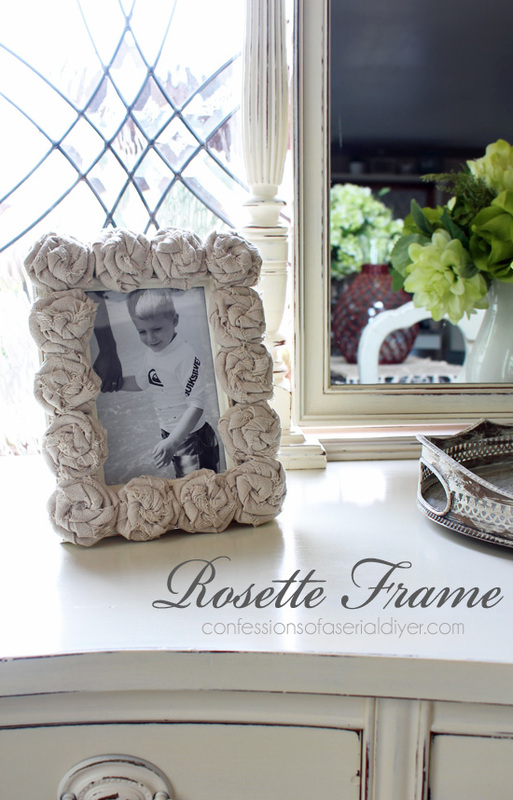 Frames are one thing I look out for when I’m thrifting because they can be transformed so many different ways. It’s funny that I rarely use them as actual picture frames though. It was in a box of frames very similar but in varying sizes. The whole box was $2! That probably made this somewhere around 25 ¢. 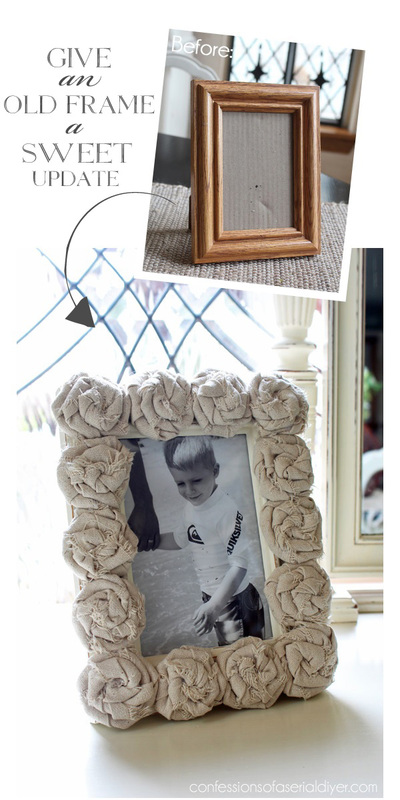 And here’s how I sweetened this little frame right up! I mean besides adding a picture of my cutie patootie to it, of course! It’s cute though, right? You may have seen this on Facebook a while back because I shared it at The NY Melrose Family blog where I contribute every couple of months. Of course I got the idea after redoing this mirror very similarly. I painted the frame first in Annie Sloan chalk paint in Old White, followed by a little sanding and a coat of clear soft wax. 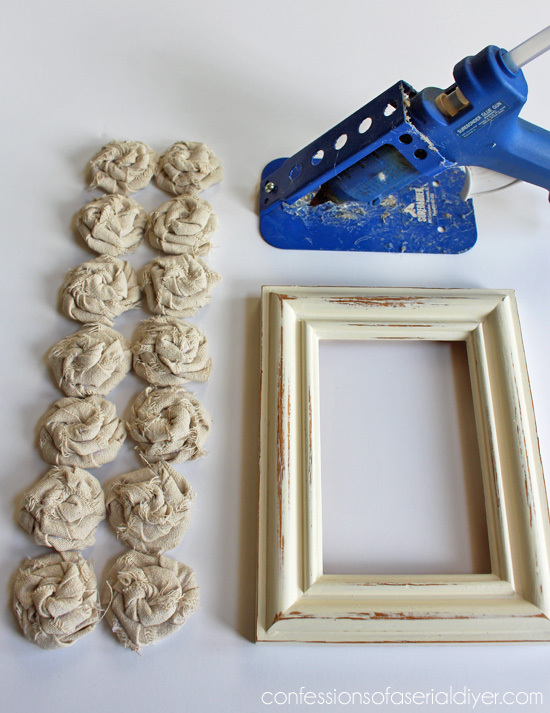 The rosettes are made from drop cloth I picked up at Lowes. 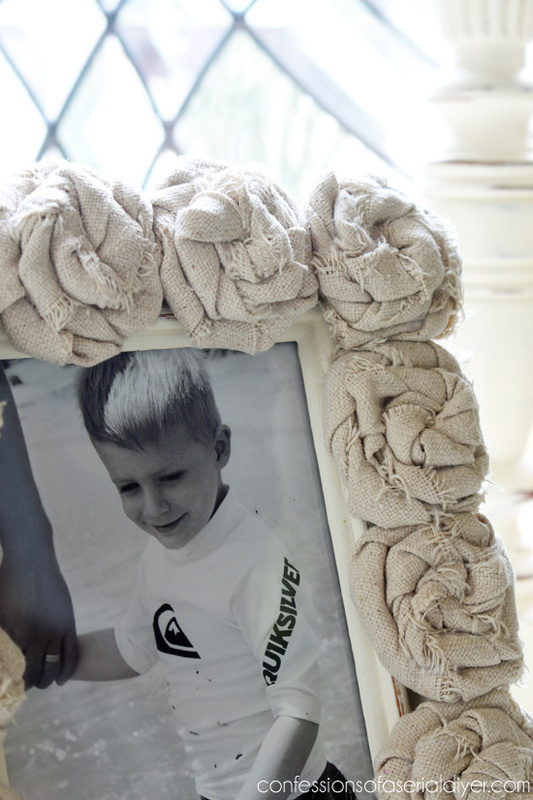 I used hot glue to attach the rosettes to the frame. 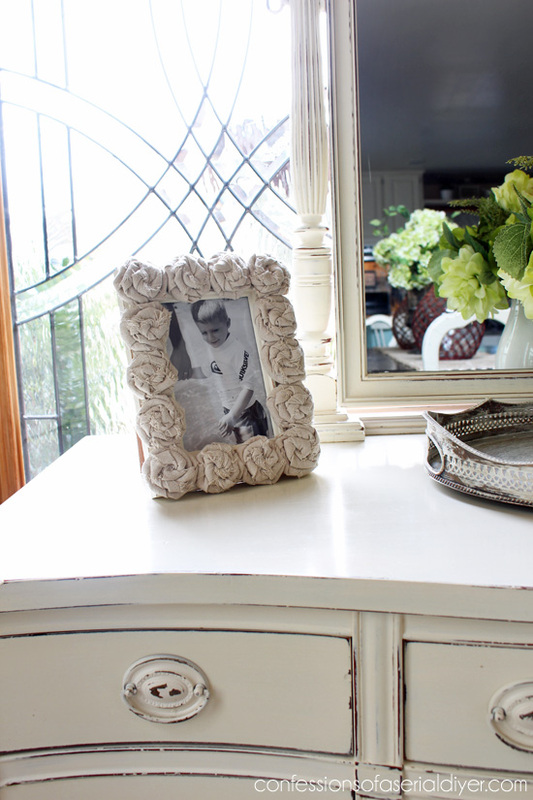 This looks perfect on the dressing table I recently sold. 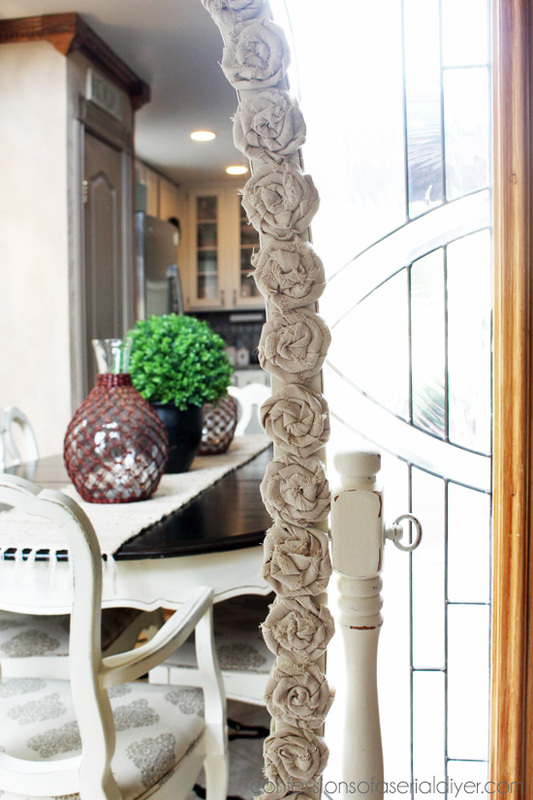 In the video I was making the rosettes for the mirror so they were a bit larger using 16″ long strips of drop cloth. For these smaller rosettes, my strips were 2″ wide X 12″ long. These rosettes could be used to embellish so many things. Hope you enjoyed this little makeover! Ha ha! See ya tomorrow! UPDATE: No need to wait! 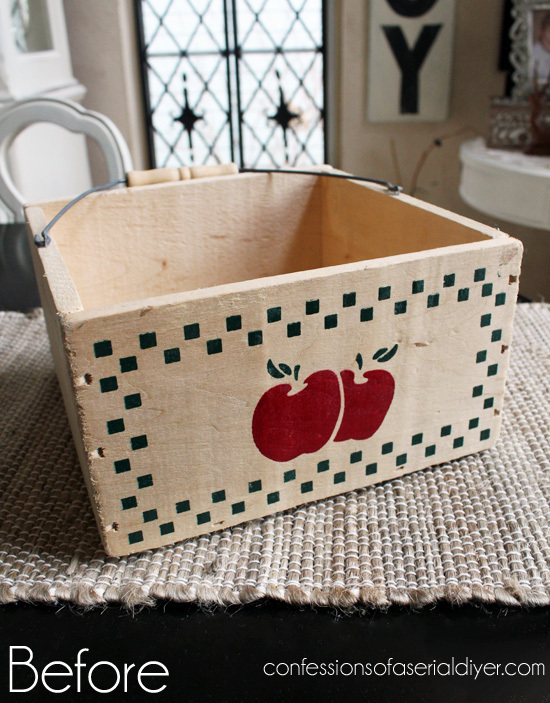 See what on earth I did with this box HERE now! 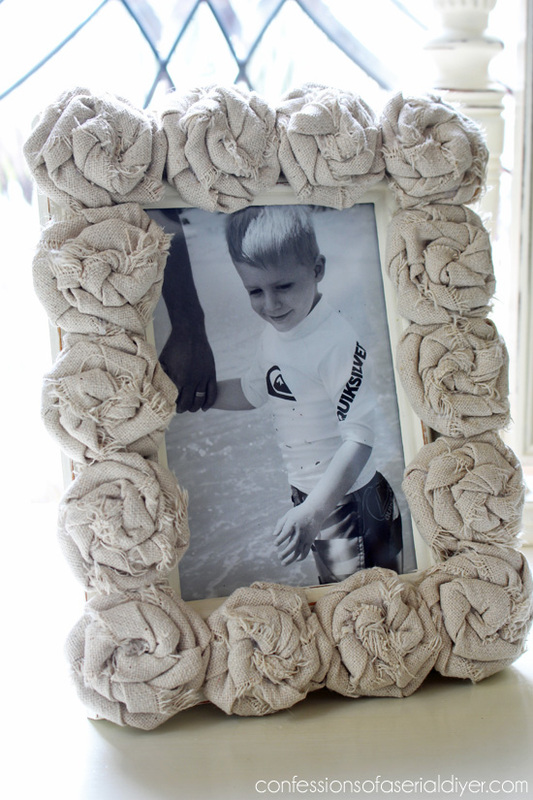 Thank you for sharing on how to make the drop cloth rosette too cute too easy and really makes an impact on a picture frame! A little jewel too what bring a cute bling to it. Thanks again. So glad you like it, Liz! A jewel would be a fun addition! The frame is very cute, but my internet was loading the pictures v e r y s l o w l y and I was only seeing the top of the picture. It looked like maybe what turned out to be your backdrop window was IN the frame, and all I could think was: GORGEOUS! So now I want to “copy” your window as framed artwork, haha! Maybe in a rosette frame? : ) You’ve got my brain spinning. That completely transormed the frame. I love it. 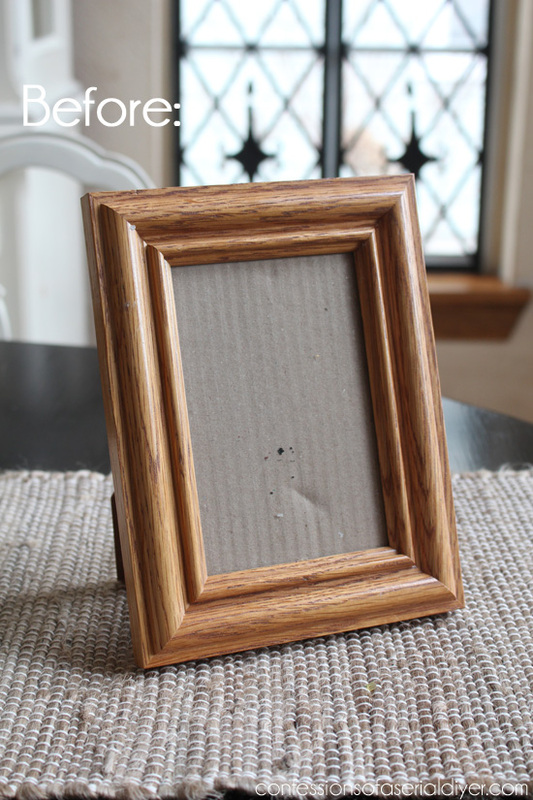 I’ve been faithfully stalking the Goodwill picture frame aisle for weeks….now I know what I’m going to do with at least one of them;) lol Beautiful work as always! 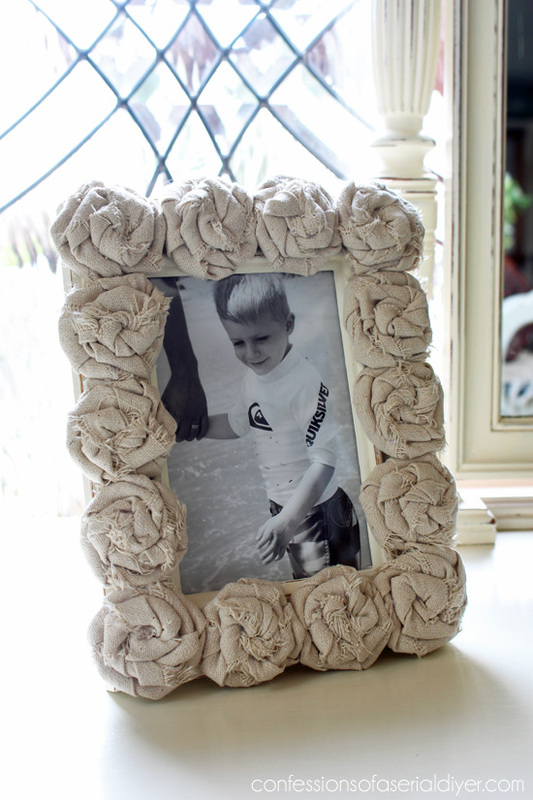 Kudos to you for having the patience to make more drop cloth rosettes – love the frame! I didn’t realize you had a YouTube channel. Thanks Christy…your video tutorial was so helpful!! 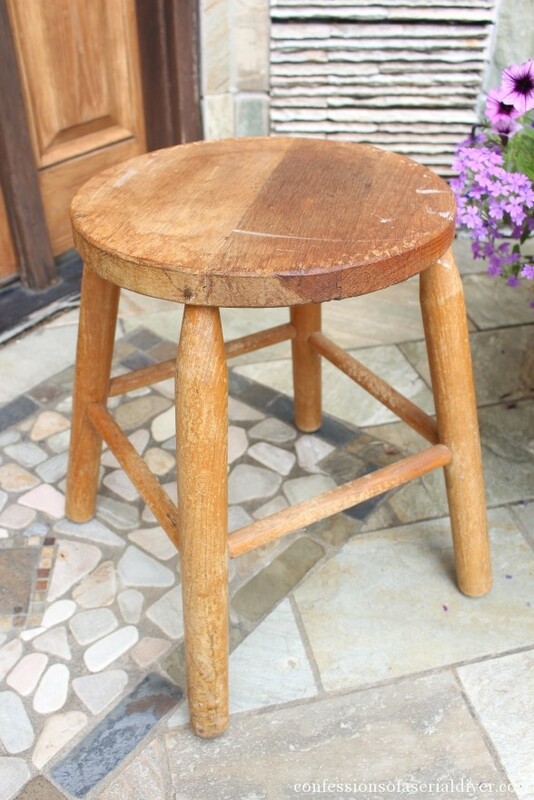 I’ve tried to make these but they just didn’t turn out right now I know……I was twisting too tight and using too much glue! 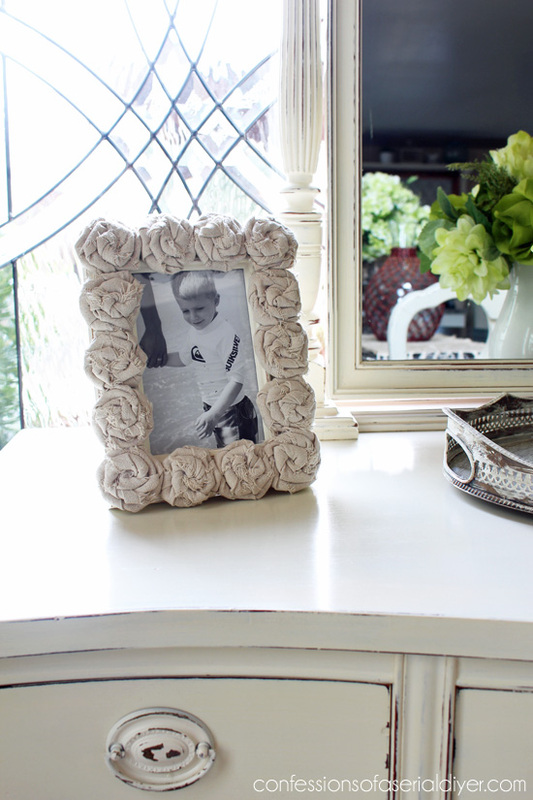 The frame is so beautiful as is the mirror you did recently. Thanks again and have a great weekend!